For some reason , most good food and nice supper place are always located in the east. However there are some good supper place that serve stunning food in the west as well! So let me introduce to you what i think is the Top 10 Supper Places in the west that will stop your “non-westie” friends for giving tons of reason not to travel to the Beautiful West for supper ! 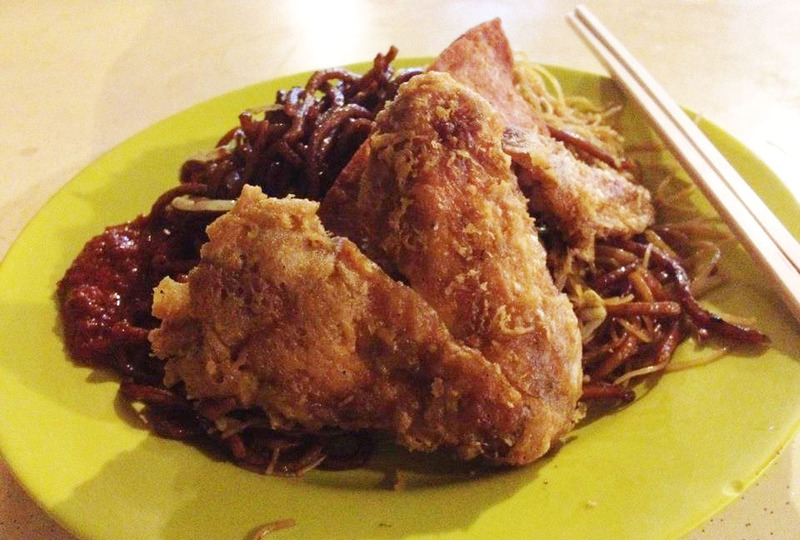 Hai xian zhu zhou , better known as Keko Mee or Keko Mian to their frequent customers, is the perfect bowl of comfort food for many. Especially for clubbers who stays in the west! A bowl of keko mian after a long night of drinking and dancing, keke mian will instantly make you feel your home cooked food comfort. Personally i don’t really eat instant noodles. So when i first went to try Keko mian, I am a littled annoyed that after queuing for so long, all i get was a bowl of INSTANT NOODLE! However after finishing this bowl of noodle, i totally understand why is there a long queue. The chilli soup is MIND BLOWING! So good that i end up returning so many times in the middle of the night that i lost counts. Was introduced by a friend when 1 random night i start to crave for Kway Chap but couldn’t find a good one in the west. Drove down and ordered a bowl immediately , and was totally impress when the Kway Chap is served. Their kway was okay, you know, just regular kway. But their braised duck was astonishing! As a duck lover , i dare to say the braised duck serve there is one of the best i’ve ever tried! And also order their fish porridge, it’s totally legit! P.S. They will ask if you want claypot porridge, tell them no, “I just want the normal bowl of fish porridge”. Meng Kee Seafood is like our FAVOURITE place for Tze Char and the best part is they area open till 2am !!! I believe there is not much Tze Char stall that operate till this hour. If you go in a big group , a must order will be their PATONG FISH HEAD !!! This fish head dish is totally out-of-this-world, the freshness , the gravy ! OMG!!! ( I’m hungry just by writing it ) . If you go in a small group , don’t worry as well ! Their luncheon meat fried rice will give you the “Mum’s Cooking” feel with a touch of “Wok Hei” . 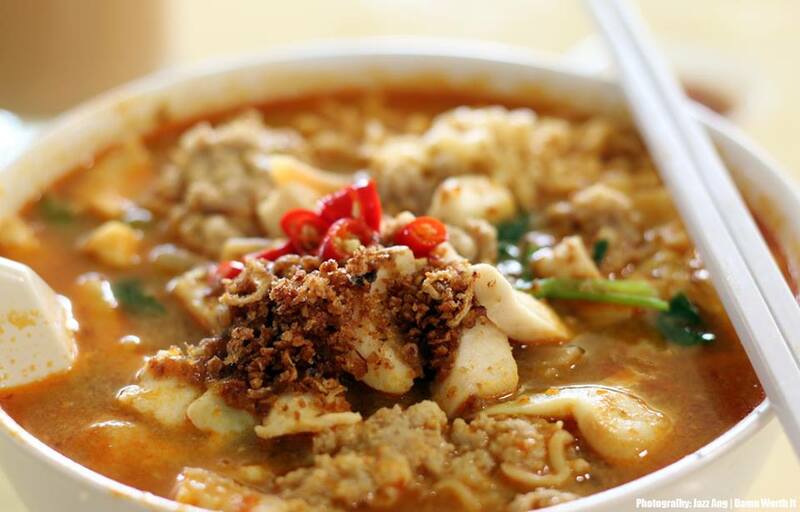 It is located inside a coffee shop named Meng Soon Huat Food Centre. Bai Li Xiang got it’s name ” Ah Lian Bee hoon ” because the lady boss is a ” Ah lian ” but this doesn’t stop people coming from all around Singapore. You can always see a bunch of NTU students eating there during the wee hours . If you live around Pioneer , i will totally recommend coming to Ah lian bee hoon. it’s satisfactory guaranteed ! What’s a supper list without Mookata right ? So here it is ! Smookata is a pretty new establishment located at Clementi. We went to tried during their first week of opening , their meat marination is done so well that every piece of the meat is so satifsfying when consume. The most important thing about mookata will be the chilli sauce . Their Chilli sauce are handmade daily and we totally fell in love with it ! So head down and try if you haven’t or of you are a mookata lover . Won’t regret ! A favourtie supper place for NUS students . Located along Clemnti Road , just outside of NUS. Fei fei wanton mee sure attract a huge crowd from NUS and neighbour around. A simple bowl of wanton mee but taste so heavely ! I highly reccommend their wanton mee with black sauce with chilli ! You know how you can find Ban Mian stall in nearly every coffeeshop nowadays ? How this stall at Happy hawkers really stand out is the broth is really homely , that will make you feel warm. Their ikan bilis is also so well fried that dunking it into your soup will make the whole thing so enjoyable !